Jerry Kreider has owned and enjoyed this Pet Store since 2004 with his wife, daughters, and wonderful staff. The farmers market is a family run business, and anyone who visits this market feels part of the family! The market is open Friday's and Saturday's only. 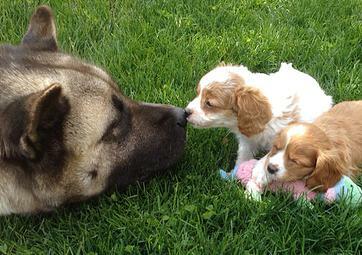 Our Akita, Khania, LOVES the puppies!! 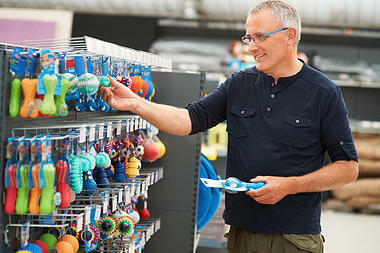 In the pet store, you'll find dog, cat, and small animal products & supplies! But the most special part of the pet store is the adorable puppies for sale! 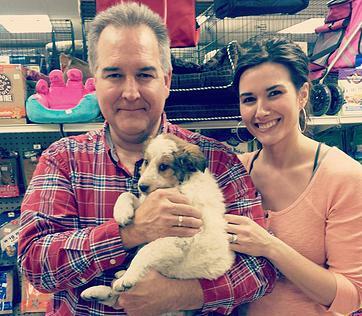 All the puppies are hand selected and taken care of by Jerry himself and the Kreider family! The puppies are all up to date on their shots and they all come with two warranties. The puppies are never kept at the store overnight or during the week. When they are not at the store on Friday and Saturday, they are home with the family at Blue Ribbon Kennels getting plenty of love and attention!